Pedestrian lights in London are getting a makeover for Pride with LGBT symbols being added to the traditional “green man” design. The change is being made for Pride in London which takes place next weekend. Around 50 lights at pedestrian signals at crossings around the iconic Trafalgar Square will be installed temporarily. The lights are inspired by a similar project which saw lights in Vienna transformed last year. Transport for London announced that the lights would be installed overnight on Sunday evening (19 June). Mayor of London, Sadiq Khan, said: “One of the greatest things about this city is our differences and every Londoner should be proud of who they are. “I am very proud of our LGBT+ community here and I am looking forward to working closely with them as their mayor. “Our thoughts and prayers are of course still with the families and friends of the victims of the hideous recent attack in Orlando. 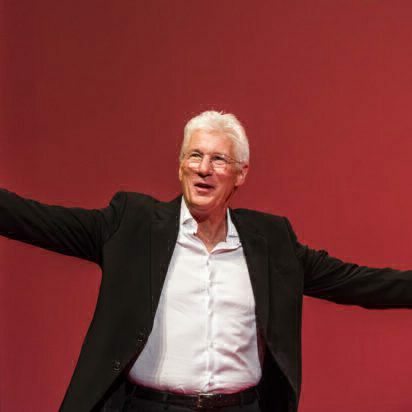 Temporary busking licences have been given to acts like drag queens and Pride’s Got Talent winner Jack Feureisen, and other festival performers at central London locations. 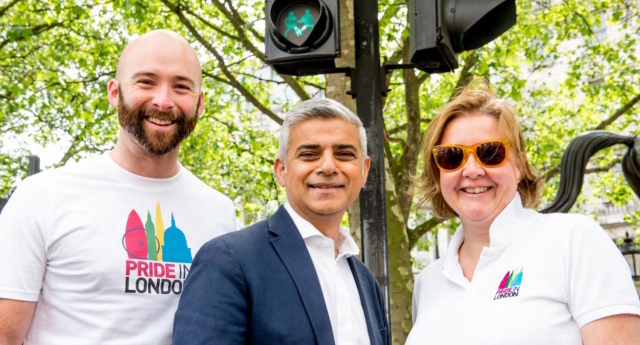 Alison Camps, Director at Pride in London, said: “It’s fantastic that London is a city so keen to celebrate Pride that even traffic lights can be used. “This small symbol is a big gesture from the Mayor of London and TFL, and we’re delighted to have their support. Pride in London organisers hope for a larger turnout than the normal massive crowds, as people will be paying respect to the victims of the Orlando Pulse shooting. London’s police chief earlier this week vowed to keep next week’s Pride in London safe – as extra officers are drafted in for security. Sir Bernard Hogan-Howe, the head of London’s Metropolitan Police, spoke to press including PinkNews ahead of a meeting with LGBT business leaders, following the attack in Orlando.